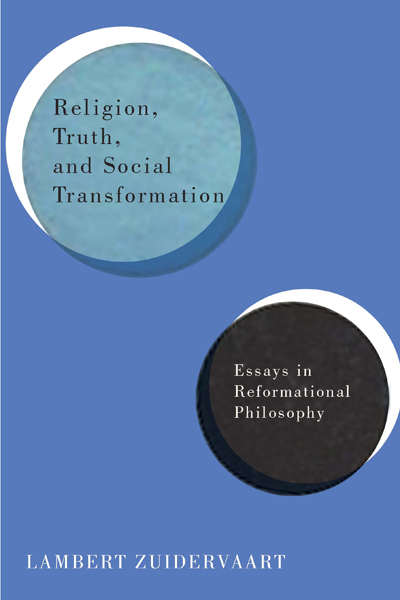 I am honoured to comment on Lambert’s new anthology, Religion, Truth, and Social Transformation, which covers many important topics ranging from philosophical anthropology to aesthetics to reformational philosophy to critical theory. This anthology definitely demonstrates Lambert’s great achievement in his academic life, showing us a good model of being an engaging Christian philosopher today. My response has two parts. In the first part, I will summarize the basic argument of Lambert’s paper, entitled “Defining Humankind: Scheler, Cassirer, and Hart,” especially its critique of Scheler and Cassirer’s humanist notion of human beings with reference to Hendrik Hart’s philosophical anthropology. Hart is one of the important thinkers of the Toronto School of reformational philosophy. His work, Understanding Our World: An Integral Ontology serves as an important, though not the only, source for Lambert’s discussion here. Lambert argues that Hart’s reformational anthropology can break with some hierarchical aspects of Dooyeweerd and Vollenhoven’s philosophical anthropologies by offering a more lucid account of how the entire human being is both body and spirit. In the second part, I will show how Hart’s philosophical anthropology can also pose a challenge to the contemporary discourse of posthumanism, especially its notion of "becoming-animal." In his essay, Lambert criticizes the problem of Scheler and Cassirer’s essentialist notion of human beings. He argues that while Scheler and Cassirer correctly replace “substance” with “function” so as to distinguish human beings from animals, they still make a mistake by confusing differences in function with differences in kind. For Scheler, human beings differ from animals because the former are spiritual beings. But he does not view “spirit” as “substance” but “function.” Human beings are those who actualize spirit and sublimate life. For Cassirer, the spirit, which indicates cultural forms and functions, enables human beings to have symbolic systems that distinguish them from animals. For Scheler and Cassirer, bodily life holds no difference in kind between human beings and animals since they both have some similar functions like reproduction or practical intelligence. What makes human beings unique is their possession of spiritual and cultural functions. 1. They fail to consider the unique human quality of our physical, organic and sentient functions. While animals and human beings possess certain kinds of similar functions (reproduction, memory or practical intelligence), this does not mean that these functions have the same quality. 2. Emphasizing the exclusive cultural/symbolic function of human beings ignores our reciprocity with animals in certain cultural dimensions. Although human beings differ from animals in terms of their unique power of symbolic communication, this does not mean that they completely fail to communicate with animals in certain cultural/symbolic aspects. 3. Their functional definitions of human beings are ambiguously full of irresolvable tensions. While both Scheler and Cassirer tend to construct a unified notion of human beings, their definitions of human beings mixed with animal/inhuman elements generate these irresolvable tensions. As a result, Hart’s transfunctional model can remind scholars not to use a single discipline, but inter-disciplines, to view the world and human beings. Furthermore, Lambert argues that Hart’s model is not merely a functional one, but is also a responsible model. According to Hart, the unity and uniqueness of human beings do not depend on certain levels of human function but lie “in how all of our functions flow from and to our hearts, from and to our orientation with respect to creation’s origin and destiny, from and to that which sets the direction for our lives and calls for our response.” Human beings are thus responsible creatures who can respond to what calls them into existence and what promises life's flourishing. Love, truth, and goodness all constitute the meaning of human beings more than various functional concepts constructed by the scientific discourses. In particular, the posthumanist thinkers emphasize a sense of inter-connection between human beings and animals by blurring the boundary of their identities. They make use of Gilles Deleuze’s notion of “becoming-animal” as a strategy to configure the posthuman subject. According to Deleuze, both animals and human beings are not static or unchanged beings; rather, both of them are always in becoming through which both the territories of humans and boundaries of animals can be re-configured in the process of affecting and being affected. Becoming-animal does not mean that one can play the role of the animal but that one can enter into the relation of movement of the animal through one’s bodily sensation, so that one can feel what the animal feels. As Deleuze says, “you become animal only molecularly. You do not become a barking molar dog, but by barking, if it is done with enough feeling, with enough necessity and composition, you emit a molecular dog.” Braidotti argues that the tension between animals and human beings which exists in the humanist worldview can be solved through such intensive assemblages mediated by bodily affect. Becoming-animal does not mean that one can play the role of the animal but that one can enter into the relation of movement of the animal through one’s bodily sensation, so that one can feel what the animal feels. While I agree with the posthumanists’ critique of anthropocentrism and their affirmation of animal life, I argue that they fail to see the qualitative differences of the bodily function of human beings and animals. Although both human beings and animals have the sense of smell, this does not mean that they share the same capacity. At least, the dog’s sense of smell is stronger than the human’s sense of smell. I really doubt that one who can learn to smell like a dog can completely experience what the dog experiences as suggested by the strategy of becoming-animal. Of course, Braidotti would counter-argue that Deleuze’s theory of becoming-animal can at least make one affiliate with animals’ lives through bodily affect. As she says, Deleuze’s theory of becoming-animal can cultivate the interconnection “by positing a shift of the relation away from speciesism and toward an ethical appreciation of what bodies (humans and animals) can do.” Braidotti regards this interconnection as alliance, a “We-ness” in a post-anthropocentric way: “we are in this together, in fact, enlarges the sense of collectivity bound subjectivity to nonhuman agents, from our genetic neighbours the animals, to the earth as a bio-sphere as a whole. ‘We’ therefore, is a non-anthropocentric construct, which refers to a commonly shared territory or habitat.” However, how can we ensure that becoming-animal can necessarily lead to a non-violent association, not a violent disassociation? Isn’t it possible that becoming-animal might transform human beings into “crude animals”, not “ethical animals”? As Jedediah Purdy rightly puts it, “In the case of the Nazis’ fascism, the abuses involved understanding all of humanity as a ‘natural’ phenomenon--leveling down--and aiming to make one’s own people a world-historical biological success.” That is to say, leveling down human beings does not necessarily generate a life-flourishing ethics; rather, it might generate an unethical ground for violent acts. Furthermore, leveling down human beings cannot help to build up a sustainable ecological development. According to Braidotti, Deleuze’s attempt in revealing a symbiotic experience between human beings and animals might help human beings to cultivate a critical horizon that can make possible a sustainable ecological development, like liberating animals from the torture of various kinds of social, cultural and economic regimes, i.e. the neo-capitalist market system. However, if we hope human beings foster such an ethical, sustainable development, then we have to affirm certain kinds of concrete and unique functions of human beings that animals do not share, like the capacity of making laws for animal rights. But how does the leveling down of human beings or thinking of people as assemblages of animals make possible such an ethical act? If post-anthropocentric ethics is a kind of ethics co-shaped by both the experience of human beings and animals, then what normative ground should we use to decide what experience we should take or should not take? In general, the posthuman thinkers do not want to use traditional ethical approaches, like Peter Singer’s utilitarian ethics, to formulate a post-anthropocentric ethics because of their anthropocentric nature. However, does it mean that only animals’ experiences will be considered as the exclusive source for making a post-anthropocentric ethics? If so, are all animals’ experiences “morally important” for us to build up a post-anthropocentric ethics? Now we may see that the posthumanists’ notion of human beings, an ambiguous mixture of animality and humanity, makes it hard for them to reckon with the above questions, particularly building up a truly post-anthropocentric ethics that respects animals. In fact, the failure of humanism does not mean the failure of human beings. What we need to do is to restrict certain kinds of violent nature in human beings, like the problem of instrumental reasoning, that is, we do not need to completely abandon the unique identity of human beings or level down human beings. Now we may see that the posthumanists’ notion of human beings, an ambiguous mixture of animality and humanity, makes it hard for them to reckon with the above questions, particularly building up a truly post-anthropocentric ethics that respects animals. In contrast to the posthumanists, Hart’s reformational approach to human beings, which emphasizes the transfunctionality of human beings, could possibly overcome the theoretical contradiction of posthumanism. First, Hart’s transfunctionality of human beings makes possible our reciprocity with animals in a multidimensional way. Although both human beings and animals are different kinds, with qualitative differences, this does not mean that they cannot interact in each dimension. While the posthumanists simply highlight the importance of the affect as a mode of communication between human beings and animals, Hart’s transfunctional model allows more dimensions for the possible interaction or communication between human beings and animals. As Lambert says, “…how is it possible that animals interpret the human baby’s cry or that human beings almost intuitively tell the difference between a dog’s growl of delight and its growl of warning? Don't such phenomena indicate both qualitative differences and genuine reciprocity between animals and human beings as linguistic agents?” Furthermore, Hart’s transfunctional model, which does not privilege the thinking aspect over other aspects, can also restrict the hegemonic nature of rationality (see Hart's own contribution to this symposium). Thus, Hart’s model might possibly beget a truly post-anthropocentric ethics since it allows more dimensions (cultural, sensual, psychical…) in which the human being can be affected by animals (like sensing the suffering experience of the animals) or even to be transformed by animals without leveling down human beings. Second, Hart’s transfunctional model, which emphasizes the ethical function of the heart, can also make human beings responsible for the flourishing of animal life. As Lambert says, the heart is the core of reformational philosophy that presumes “the responsive/responsible character of human existence” from which “to be and to become human is to be and become both gifted and called to love God, others, ourselves, and all creation.” The heart is the religious root of our human existence. It is the basis of our identity, deeper than any human function and it transcends the temporal (see Neal DeRoo's contribution to this symposium). What I want to say is that the affective experience is better directed by a certain kind of transcendent cause, like Hart’s heart or Levinas’ face. If not, all affective experiences might easily be turned to a violent force. In contrast, the materialist ground of posthumanism that eliminates the transcendent dimension of the posthuman subject hardly guarantees that the subject can act ethically and responsibly toward animals or nature. At least, the posthuman subject does not recognize any religious core, like the heart, to direct him or her to take a responsible action. Although Braidotti believes that the affect per se can make possible such an ethical act, it is also less certain that the affect generated through becoming-animal must be an “ethical affect”, like love, that can cultivate solidarity between animals and human beings. This does not mean that the affective dimension is not important in cultivating an ethics of other (an ethics based on embodied sensuality instead of the disembodied rule/law is badly needed today, e.g. Levinas’ ethics of the body). What I want to say is that the affective experience is better directed by a certain kind of transcendent cause, like Hart’s heart or Levinas’ face. If not, all affective experiences might easily be turned to a violent force. And thus I worry that posthumanism, as immanence-philosophy, which simply emphasizes immanence and not transcendence, might fail to cultivate a truly post-anthropocentric ethics. In sum, although Lambert’s paper was written eighteen years ago, its constructive assessment of Hart’s philosophical anthropology, especially its transfunctional character, is still relevant to today’s debates on posthumanism or even the related topic of new materialism (as explored by Manuel DeLanda, Quentin Meillassoux, Gilbert Simondon) and the anthropocene. And I look forward to seeing more reformational philosophers from the academic community of ICS to engage with these topics. Lambert Zuidervaart, Religion, Truth and Social Transformation : Essays in Reformational Philosophy (Montreal, Quebec: McGill-Queen’s University Press, 2016), p. 217. Zuidervaart, Religion, Truth and Social Transformation, p. 215. Zuidervaart, Religion, Truth and Social Transformation, p. 218. Gilles Deleuze and Felix Guattari, A Thousand Plateaus: Capitalism and Schizophrenia (Minneapolis: University of Minnesota Press, 2000), p. 275. Rosi Braidotti, “Affirming the Affirmative: On Nomadic Affectivity” Rhizomes, Issue 11/12 (Fall 2005/Spring 2006), p. 2. Rosi Braidotti, “ Animals, Anomalies, and Inorganic Others,” PMLA , 124, No. 2 p. 528. Rosi Braidotti, “Affirming the Affirmative: On Nomadic Affectivity”, p. 5. Jedediah Purdy, After Nature: A Politics for the Anthropocene (Cambridge, Massachusetts: Harvard University Press, 2015), p. 276. Zuidervaart, Religion, Truth and Social Transformation, p. 213. Zuidervaart, Religion, Truth and Social Transformation, p. 217. This blog has a good introduction of new materialism. Catherine Malabou delivered a clear lecture on “Anthropocene” in 2016. Peter Wing-Kai Lok completed his PhD thesis under the mentorship of Lambert Zuidervaart in 2011. 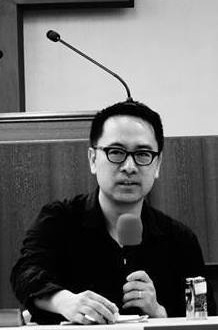 He now serves as lecturer at Hong Kong Baptist University. His research interests include contemporary French philosophy, philosophy of the body and philosophical foundations of cultural studies. This is a great post, Peter! I'm very intrigued by the prospect of a multifunctional anthropology responding to posthumanist problems. Reformational thought needs more contact with Deleuze and Braidotti! Especially intriguing to me is your connection between the reformational idea of a transcendental heart, which has always made me nervous, to Levinas's transcendental face, a connection I'm still thinking about. Two concerns come up for me, however. First, with Perdy, you suggest the notion of "becoming-animal" is a matter of "leveling down" human beings. But could it be possible that the direction of this vertical metaphor misses something crucially important about the Deleuzean and posthumanist projects generally? That is, on the "plane of immanence," perhaps it is better to say that becoming-animal is a matter of raising intensities in human beings (and animals, too), not leveling them down or leveling them up, per se, but still a matter of "increasing" human capacities or experiences or what have you rather than "decreasing" or diminishing them in a downward direction. Second, I have always wondered about a latent anthropocentrism in reformational ontology generally. Despite or because of its multimodal ontology, reformational thought seems to identify modes (and functions) of being according to human perception. So the modal scale places the "pistic" mode at the top, and descends or retrocipates a variety of other modes down the numerical. In this sense the human, it seems to me, is undeniably privileged, and human capacities become the benchmark of what functions are anticipated or retrocipated by other functions. Would a posthuman critique of reformational philosophy entail something like making the modal scale more horizontal, or of considering the modal scale in relation to other creaturely experiences? I'm thinking here of a curious book by media theorist Vilem Flusser, "Vampyroteuthis Infernalis," that imagines the Dasein of a squid that resides at the bottom of the ocean. Could we imagine the modal scale of a squid that resides at the bottom of the ocean? Reformational ontology precludes such a project, but perhaps that's a problem for reformational thought rather than the speculative project of imagining the philosophy of a squid. Dean, thanks for your questions and comments. I agree with you that Deleuze’s becoming animal might raise intensities (leveling up) in human beings. But no matter human beings are leveled down or up, what I care about is the ethical quality of the intensities As you might know that Nietzsche’s notion of force impacts Deleuze’s notion of affect deeply. But Nietzsche’s body force, as Deleuze says, is constituted by a hierarchical form of the active (dominant) and the reactive (dominated) force. This expresses the original qualities of the body. (Nietzsche & Philosophy, p.40) So I am not sure if Deleuze’s affect is funded by Nietzsche’s force, then can we simply view Deleuze’s affect as a constructive, not destructive affect as Braidott thinks ? Would the increasing of the affect also increase the quantity of the aggressive force of the human beings? It seems to me that Braidotti has adopted a more affirmative perspective to view Deleuze’s affect without considering seriously the manipulative nature hidden in Deleuze’s becoming animal. Perhaps, Perdy’s comment is a bit “harsh” by accusing the posthumanists of “leveling down human being.” But what worries him is that thinking of ourselves as all-too-natural might provide excuses for exercising power while avoiding ethical and political challenges. His example is Darwinian triumphalism that generates racism, imperialism and fascism. (After Nature: A Politics for the Anthropocene, p. 279) And I think his critique is fair. For me, anthropocenrtrism is a worldview that celebrates and mystifies the omnipotence of human being, especially treating rationality as the exclusive way/force of manipulating the nature or the other. If you are ok with this definition, then the theistic worldview of reformational philosophy, which views God, not human beings, as the lord of the world, is definitely not anthropocentric. Of course, what worries you is that the reformational worldview, which places “the ‘pistic’ mode at the top, and descends or retrocipates a variety of other modes down the numerical, might privilege the human capacity.” I think your concern is fair. When I first read the reformational anthropology, I also shared your puzzle that it might be a latent anthropocentrism. But I still insist that the pistic mode needs to be privileged since it is exactly this privileged position that can prevent the world or nature from being dominated by human beings. As Lambert quotes Olthuis’ saying that “to be and to become human is to be and become both gifted and called to love God, others, ourselves, and all creation” (Religion, Truth and Social Transformation, p. 217) And the responsive act of human beings is impossible without privileging the pistic mode since it supports the directionality of human being. Furthermore, Hartian approach to human beings, as Lambert says, presumes that human existence is not separated from direction, structure and historical process. That is to say, human beings are finite being without fully controlling their own world. Thus, I think this might eliminate the omnipotent fantasy of human beings constructed by anthropocentrism. Finally, I think one of the contributions or challenges of posthumanism to Christian is that it reminds us of not ignoring our interaction with animals and nature through various modes (affective, cultural or linguistic) created by God. And I have to admit that the Christian imagination of a life with nature and animals (at least in Asia’s context) is “weak.” Thus, Dean, your suggestion of imagining our life as squid that resides at the bottom of the ocean sounds very fascinating to an Asian Christian like me. Thanks for your reply, Peter! These are helpful clarifications. If you'll indulge me, here are a couple follow-up questions. Your ethical hesitation with Deleuze (and by extension Braidotti) is understandable, especially since I recently read Edith Wyschogrod's "Saints and Postmodernism," where she brings Levinas in specifically as a counterpoint to what she sees as a dangerous celebration of amoral forces in Deleuze. Yet while I think the critique of Nietzsche as a problematic constellation of elitism, racism, fascism, etc. is probably right, I'm not sure one can read Deleuze as being guilty of those same problems, despite being influenced by Nietzsche, since Deleuze's project aims to destabilize those problems, in a way by mobilizing Nietzsche against himself. There is an analogy here to Foucault, whose Nietzschean genealogies serve to uproot calcified norms and political configurations that follow from those norms. I could be reading Deleuze wrongly simply because I like reading him, and want him to survive the ethical critique, but it does seem to me that there's a significant political motor underneath Deleuze's notion of "becoming-animal," especially since Deleuze himself was involved in leftist politics in France. Another way of going about this would be to put Deleuze's "becoming-animal" alongside some similar notions in "A Thousand Plateaus," where Deleuze and Guattari also suggest "becoming-child," "becoming-woman," etc. One way of reading this might be to suggest Deleuze is carrying out the Nietzschean task of revaluing values (animals, children, and women being intentionally undervalued in the Western tradition), except that for Deleuze the supreme values aren't an unqualified biological strength, as they are in Nietzsche. All that said, though, I take your point that at least some kind of ethical consideration needs to be worked out with respect to how to channel these affective forces, even if one is to try to make the very distinction I'm trying to make here between Nietzsche and Deleuze, let alone if one is trying to actually put this kind of affective thinking to work oneself. A word on anthropocentrism. If we define it the way you have here, as a kind of human hubris, then I totally agree that reformational thought goes a long way in getting us away from that kind of anthropocentrism. What I meant initially by it was something more like a way of understanding reality that reduces it to human perception, making humans the theoretical measure of all things. You mention the new materialism at the end of your post, so I'll invoke Meillassoux here, who suggests a major problem of post-Kantian philosophy is the problem of "correlationism," that is, the assumption that the world is necessarily contingent on the existence of humans to be understood, which halts us from considering the nonhuman world in itself. This is "anthropocentric" in that all of reality is measured by the way in which it represents itself for modes of human knowing, and it seems to me the modal ontology of reformational philosophy struggles with this problem. Hence Flusser's thought experiment of thinking like a squid is, I think, a difficult and promising venue, and presents an exciting problem for Christian scholars in particular. Hi Peter! In your post and responses to Dean, you discuss the ethical implications of posthumanism. I feel as though your argument in favor of a transcendent and universal ethical position will have no impact on the Deleuzian/posthumanist. This isn't to say that the Deleuzian doesn't hold an ethical position. Rather, I think that it is important to note the distinction between the ethical and the moral that Deleuze discusses in "Spinoza: Practical Philosophy". In chapter 2 "On the difference between the ethics and morality" in section II Deleuze lays out part of the difference between ethics and morals. "There is no Good or Evil, but there is good and bad" (p. 22). Good and evil, as univeral or transcendent maxims are things that Deleuze will reject. That Adam took the apple is not evil or immoral, but it is bad because it leads to his death. So I'm wary of the need for a transcendent ethic as it will have no impact on the posthumanist who will deny a moral position. Paul Patton regards Deleuze’s ethics as an ethics of freedom ( Patton, Deleuze & the Politics, p. 83.) , privileging processes of creative transformation and metamorphosis through which individual and collective bodies may be transformed. Thus it is a political ethics about critical freedom since it celebrates a transgression from a state or condition to the state or condition. But, Patton finaly comments that this critical freedom “is much more ambivalent and risky affair: more ambivalent since it involves leaving behind existing grounds of value, with the result that it is not always clear whether it is a good, or indeed by what standard it could be evaluated as good or bad; risky because there is no telling in advance where such process of mutation and change might lead, whether at the level of individual or collective assemblages.” ( Patton, Deleuze & the Politics, p. 87.) I do not want to eliminate Deleuze’s ethics or deny his ethical dimension but Deleuze’s ethics, as Patton says, cannot ensure an ethical direction towards good. Jacob, I am not quite sure whether Deleuze would totally reject “transcendence.” (I’ m not an expertise in Deleuze so my understanding might be naïve and wrong). I guess the problematic nature of “philosophers of transcendence” to “philosopher of immanence ” is that they always concern the otherworld, not this world. Moreover, they also believe in some superior, stable and unchangeable “cores” which are repressive in nature, like God or even nation. I think their concern is fair. But I attempt to think of another way of understanding transcendence which might not be necessarily against the political agenda of the philosophers of immanence. Mark Lewis Taylor tries to distinguish various kinds of the notions of transcendence: the transcendence of emancipatory politics, the transcendence of command in authoritarian systems and the transcendence of ordering function in Western capitalism. (Mark Lewis Taylor, “Empire and Transcendence: Hardt and Negri’s Challenge to Theology and Ethics” in Bruce Ellis Benson and Peter Goodwin Heltzel (ed. ), Evangelicals and Empires, pp. 201-217.) The latter two forms are problematics because of their repressive nature, but the first form is not repressive because it is emancipatory. The latter two forms are about a transcendent core, but the former is about an experience of transcendence. I think what Deleuze or philosopher of immanence rejects is the transcendent core, but not the experience of transcendence. For me, Deleuze’s becoming is an experience of transcendence because it privileges processes of creative transformation and metamorphosis through which individual and collective bodies may be transformed. To certain extent, Deleuze does not completely reject all experiences of transcendence. And I don’t think reformational thought or even other Christian theology, like liberation theology would fail to offer such an alternative emancipatory politics that combines both the dimensions of immanence and transcendence. On the one hand, reformational thought, like Hartian thought, which does not eliminate the bodily dimension of human being, affirms the immanent dimension of human being; on the other hand, the reformational thought, which views human beings as not a “stable” but a “becoming” subject, also affirms an experience of transcendence that enables the subject to affect or be affected by various modes of the world and the others. Therefore, I think Hart and Negri’s understanding of transcendence is not “open” enough. Their limited understanding of transcendence also makes their multitude’s emancipatory politics impossible. As Ernesto Laclau comments that Negri and Hardt’s radical immanence, which is lack of the dimension of transcendence, makes “politics become unthinkable.” While they simplistically treat immanence and transcendence as opposites, they finally construct a notion of worldly immanence without antagonism, like God/good versus evil within history. (Ernesto Laclau, “Can Immanence Explain Social Struggles?” in Diacritics, Vol 31, Number 4, Winter 2001). Taylor thus suggests that the Christian experience of transcendence directed by certain transcendent cause can serve as a transformative and emancipatory force in political praxis: “The fundamental question becomes not so much whether there is a God transcendent above or outside history, but how God may be there in history to make an emancipatory experiences and social practices, which have certain qualities often spoken of as “spirit” (Mark Lewis Taylor, “Empire and Transcendence: Hardt and Negri’s Challenge to Theology and Ethics” p. 212) I think this already leaves us space for the reformational philosophy to fund a radical philosophy of immanence. So I am not totally pessimist that both Deleuze/Hardt/Negri/Bradotti and the reformational philosophy cannot have further collaborations or dialogues if both of us affirm “becoming” as an experience of transcendence. Finally, Dean, with regards to your questions of anthropocentricism, I think my background knowledge is not strong enough to answer your questions. But I have some questions which I want to ask: Does privileging human perception necessarily lead to anthropocentricism? Perhaps, it is true that when we take perception as the primordial condition of making an active and strong epistemological subject. Is the reformational subject primarily such an epistemological subject? If so, then your critique is justified. But perception is also a condition in making a weak and passive ethical subject. Inspired by Levinas, I believe that the dominant character of the subject is likely to be “shaken” or ”bombarded” by the suffering face of the other (both human beings and animals) through the visual mode (visual perception is a kind of perception), and of course the sensual mode. Thus, perhaps privileging perception is also necessary in undermining the dominant power of a strong epistemological subject before making possible a post-anthropocentric subject. Finally, I always question if we can truly develop a post-anthropocentric philosophy as what Meillassoux suggests. It is because once we judge something which is anthropocentric or not anthropocentric, it is hard not to fall into the trap of anthropocentric. The point is that we still need to set up some grounds, like Meillassoux’s work, to judge something representable or non-representable. So when Meillassoux says that some aspects of reality we cannot represent, is the model or imaginary constructed by him still a post-anthropocentric proposal? Please correct me if I am wrong.